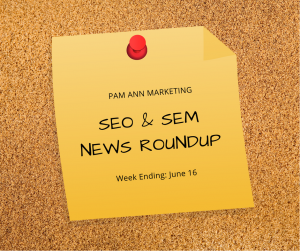 Announcing Our Big News, Plus Two Awesome Webinars! We’ve been teasing our “big news” for a while now, and it’s finally time to reveal it! 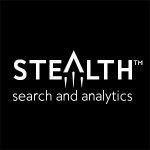 We are launching a sister company, called Stealth™ Search and Analytics! The Pam Ann Marketing brand that you’ve known for years is not going away – we are just creating this new company alongside Pam Ann to offer something that’s been requested of us for a long time: private-label services. Stealth™ will exist to serve other marketing agencies that want to subcontract our team for SEO, PPC, and analytics services – allowing them to offer those services to their clients under their own name. Other agencies can now benefit from our 6+ years of experience providing high quality, highly customizable SEO, PPC, and web analytics services – without having to hire and manage additional staff themselves. Our vision is to be different from traditional white-label services by working closely with each agency to customize our services to fit their unique needs. There are no cookie-cutter programs or packages here. We also want to help our agency partners grow by not only adding to their roster of available services, but also showing them how to use data to retain clients longer, make more recurring revenue, and win more new business. I hope you can join us for these awesome webinars! Even if you can’t make it at the scheduled times – register anyway and we will send you the recordings afterward! You can also follow our new Facebook , Twitter , and LinkedIn pages to stay up to date with the latest news from Stealth™. THANK YOU so much to all of you that have helped us grow over the years! We are so excited to be expanding through the launch of Stealth™, and we couldn’t have done it without the support of all of our clients, partners, and friends. We are grateful for each and every one of you! There’s nothing I enjoy more than sharing SEO, PPC, and analytics tips with others. Recently I reached out on Facebook asking for your questions so I could help out where possible. 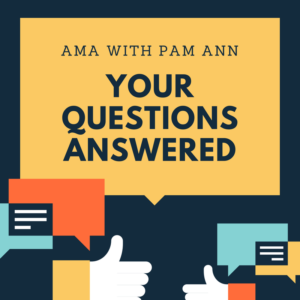 The questions I received were so good that they’re worth sharing here for everyone to benefit from. This post is a recap of the questions that were sent in, along with my responses. 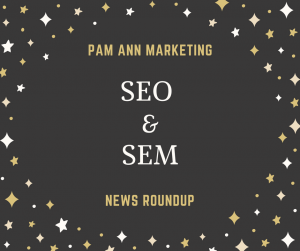 There’s a bit of everything in here, so get ready for a crash course in multiple facets of SEO. Question: Does the social graph still come into play on rankings in search? This is a question which is still the subject of contentious debate within the SEO community. There continues to be studies that show a correlation between a piece of content’s social signals, and rankings of content in Google search. The debate surrounding this topic stems from the age old argument of correlation versus causation. Does content rank well because of its social signals? Or, does content receive more social likes and shares because it ranks well? No matter what the case may be with respect to that argument, there’s no debate that inbound links continue to be one of the strongest ranking factors. Getting content seen and shared on social media is crucial when it comes to getting others to link to that content. Whether social signals are a ranking factor or not, social media is where many people discover content for the first time. When more people are able to discover a piece of content, the more likely it is to get linked to. With that said, I believe social media is an important part of any SEO strategy. Question: Is Google a reliable source of information? Or does it favor those who pay or “hack” their way to the top? Technically speaking, the opportunity to rank in organic search is open to any business who does all the right optimization tactics. Although organic listings are an open playing field, businesses who have a budget to pay for professional search engine optimization have an advantage over businesses who do not. With that said, if a site owner has the time and motivation to learn SEO on their own, they can conceivably achieve high rankings without the need for a huge budget. Question: When is targeted search coming back to YouTube? After reaching out to Google I can confirm this feature has now been re-activated. Question: What is the ideal blog posting frequency for SEO? When it comes to blog posting frequency, you can’t go wrong with following this advice: the more the better. Statistically, there is a direct correlation between the frequency of publishing blog articles and increasing organic traffic/rankings. I cannot give a specific answer, such as “posting X-number of blog posts per week will increase your traffic by X-percent”. Though I can say content is one of the main driving forces behind SEO, and it is well worth your time to blog as often as you can. Question: Is it more important to focus on using the right keywords when blogging? Or is it more important to focus on writing the best content for a particular audience? To tell you the truth, both are important. It makes all the difference in the world to research and use the the right keywords in a piece of content. While using keywords in content is important, make sure not to overdo it. It should sound natural to people reading the content, and look natural to search engine crawlers. Focusing on publishing the right content for your audience is always key, but content will go a lot further if you do a bit of research first. When writing content, you should ensure you’re using the same terminology your audience uses when conducting search queries. Question: What’s your opinion on Net Neutrality? As far as SEO is concerned, it’s important that the web remain equally accessible to everyone – both businesses and their clients. If internet service providers (ISPs) let big businesses reach into their deep pockets and buy their way into greater organic internet exposure, then it would become more difficult for small businesses to compete. An inverse problem could occur if users had to pay in order to access certain types of search capabilities. When searching for companies to do business with, lower-income individuals would no longer have access to the same data they do now. Small companies are having a hard enough time as it is trying to gain exposure on the web while up against bigger companies with larger budgets. 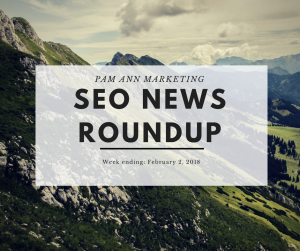 Presuming we continue to live in a neutral web environment, SEO is one of the only ways small businesses can get a lot of high-quality traffic without paying for ads. Question: Can publishing video improve a site’s analytics? Having video on a website can help with many things. It definitely improves conversions. In addition, if tagged properly with Schema markup and good keywords, it can help with SEO as well. I should also point out that YouTube is the #2 search engine in the world, so publishing videos on there is another way to help get your business discovered. Question: Can the owner of a company measure their SEO efficiency simply by going to a site? Google Analytics and Google Search Console are the best free tools for measuring the results of your SEO efforts. SEMRush is another site that gives a nice estimation of your current search engine visibility. Google has other great, free tools for things that all site owners need to optimize for. This includes such elements as mobile-friendliness and page speed. I recommend reading our guide to Google’s free testing tools for more information about everything Google has to offer. Question: Is a mobile-friendly website crucial for SEO? Very much so! Google is planning to switch to a mobile-first index early next year. That means a site’s SEO-friendliness will be judged first and foremost by how it renders on mobile. I’m always open to SEO questions. If you need clarification on any of the questions I’ve answered in this post, please leave a comment below. 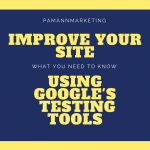 Google has a number of free testing tools that can be used to improve your site in various ways. There’s some you may not even know exist – or, if you are aware of them, you may not know how to use them to the fullest. We want to help clear up that confusion by listing Google’s top free tools, as well as explaining the benefits they provide. Most importantly – they won’t cost you a single dime. 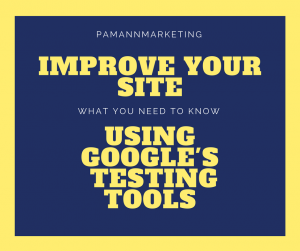 Ready to learn how to use Google’s testing tools? Then let’s get right to it. Google Analytics is arguably the most important free tool the company offers. It’s a testing tool in the sense that it records all of your site’s incoming traffic, which makes it the most reliable way to measure how well your SEO efforts are working. 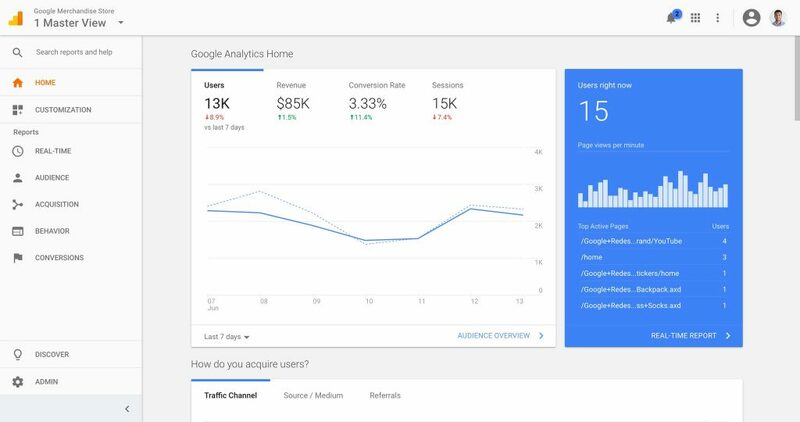 After inserting a unique code on all pages of your site, you can begin to view your traffic metrics in the Google Analytics dashboard. We recommend inserting the code somewhere that appears on every page of your site, such as the header or footer. It’s completely invisible to visitors, so you don’t have to worry about messing up your site’s design with a block of code. In addition, you can set and track custom goals. For example, if one of your goals is to get people to sign up to your mailing list, you can track exactly how many people are landing on your “thank you” page after subscribing. Once Google Analytics has collected enough data you can compare your metrics over time. You can track your site’s performance day-to-day, week over week, month over month, or virtually any block of time versus another block of time. Keep in mind that Google Analytics is not retroactive, which means it will only begin to collect data after the code has been installed on your site. From there, you can monitor your site’s performance and make adjustments accordingly. Equally as important as Google Analytics is Google Search Console. It’s the only platform that Google uses to communicate directly to individual site owners. If there’s a critical error on your site, Search Console is where you’ll be notified. It couldn’t be easier to start using Google Search Console. Simply log in to your Google account after clicking on the link above, then claim ownership of your site. Page Speed Insights is literally the only speed testing tool that matters (well, for SEO anyway). Why? Google has gone on record stating data from Page Speed Insights is what its search algorithm uses to determine how fast your site loads. While there are similar testing tools out there, this is the only one that matters when optimizing your site speed for Google. This tool can be used to test the speed of any page – whether it’s yours, your competitors’, or a client’s. Submit the URL of a page here and let the tool do its work. Google’s testing tool will score your page speed on a scale of 1 to 100. Based on our experience, an acceptable page speed is anything with a score of 75 or higher. If your page speed receives a score below 75, we recommend following Google’s provided advice to increase your page speed. One of the most effective ways to speed up your site, and one of the most common recommendations, is to reduce the file size of images on your pages. Is your site truly mobile-friendly? How mobile-friendly is it? Find out what Google thinks by using its free testing tool. After submitting the URL of your site here, Google will determine if it meets today’s mobile-friendly standards and return a simple yes or no answer. If Google determines your site is mobile-friendly, you have nothing to worry about. Conversely, if your site is not mobile-friendly, Google will tell you why it didn’t pass the test. From there, you know what adjustments need to be made to your site. Having a truly mobile-friendly site, in Google’s estimation, is paramount when it comes to ranking in mobile search results. With mobile searches now eclipsing desktop searches, you could be losing out on a considerable amount of traffic if your site does not pass Google’s test. At first glance, Google’s Test My Site appears to be a tool for testing mobile page speed. However, it has a few other features not offered by Google’s other tools. After submitting the URL of your site here, Google will perform its test which may take up to several minutes. The tool will then return three screens of data. On the first screen, Google will determine how fast your site loads on a standard 3G connection. Right beside that will be a percentage reflecting how many visitors you may be losing due to loading time. This number is based on Google’s research, which indicates mobile visitors begin leaving a site if they have to wait more than 3 seconds for it to load. On the second screen you will see an industry comparison graph which ranks your mobile page speed as either excellent, good, fair, or poor. This screen will also indicate whether your site is faster or slower than the top performing sites in your industry. On the third and final screen, Google will indicate how many seconds you could shave off the loading time of your site by following the company’s recommendations. This screen will then link you to a download page where you can obtain a full report of recommended fixes. Structured data is a special type of code you can use to help search engines better understand the information included on a page. A common type of structured data is Schema.org markup. You can use structured data to mark up anything from contact information, to recipes, to social profile links, to reviews, and a whole lot more. All the different types of structured data Google is able to read is included on this page. In order for Google to be able to understand your structured data it has to be implemented correctly. That can be accomplished by following the guides on the page linked to above. After you have added structured data to a page, you can check whether or not it was done correctly by using this testing tool. When you run the URL of a page through the tool, it will list the types of structured data it was able to detect, and notify you of any errors or warnings. If there are any errors or warnings associated with your structured data, the tool will also let you know how you can fix the problems. These can all be used to learn more about the performance of your site, and make improvements as necessary. If you have any questions about any of these tools, please leave us a comment below. This week Google made it even easier to find jobs on its search engine. Google released a powerful new tool for small businesses. A new look for Google Analytics was rolled out to more users. A new and addictive Easter egg has been found in Google Search. Web pages with Google ads will now load faster thanks to a significant change made by the company. Google is actively seeking searchers’ help to make local results more accurate. Bing has made itself a destination for yoga enthusiasts. Lastly – SEO the movie? Yes, it’s a thing, and we’ll give you a brief review. Google Posts, which started off as an experimental feature for select businesses, is now available to everyone. Well, everyone with a verified Google My Business listing that is. 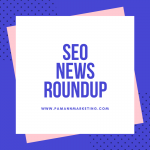 This new feature allows businesses to publish messages to their GMB listing, which will also show up in Google Search and Google Maps when the business name is searched for. Messages published through the new Posts feature will appear as short snippets, which can be tapped on to be read in full. Posts can be used for anything you may want to highlight about your business – such as daily specials, events, products, and so on. Posts can include text, photos, and custom calls-to-action. Custom CTAs can be used to direct people to visit your website, sign up to a newsletter, buy a product, or take advantage of a special offer. Anyone with a verified listing can start publishing posts today on both desktop and mobile. Google For Jobs, a new job search initiative, is now live in organic search results. Rather than competing with other job search companies, Google is partnering with them in an effort to be the preeminent destination for job hunters. This initiative is designed to help employers as well, as Google’s machine learning capabilities will be utilized to better match employers with the right candidates. To learn more about this feature, see our new guide to Google For Jobs. Google has confirmed that a new home screen for Google Analytics has now be rolled out to 50% of all users. The new home screen was first spotted being tested earlier this year, and apparently it has been well received if Google has decided to expand the rollout more widely. According to the screenshot being shared, there is also a section that answers the question: “how do you acquire users?” Data in this section includes Traffic Channel, Source/Medium, and Referrals. Those receiving the new home screen are being selected completely at random, so if you don’t see it yet hopefully you will be selected soon! Web pages displaying Google ads will now load a bit faster thanks to a new compression algorithm rolled out this week. As a result of compressing its display ads, Google is not only helping pages load faster, but the company says it will also improve your device’s battery life efficiency. Google’s compression algorithm, called Brotli, offers a data savings of at least 15% compared to gzip compression. In some cases it could result in a data savings of up to 40%. According to Google, the amount of data sent to end users will ultimately be reduced by tens of thousands of gigabytes per day. Brotli is being used in the Chrome, Edge, and Firefox browsers. Apple’s Safari on iOS and macOS have yet to adopt Google’s compression algorithm. Google has been spotted testing a new way to get more accurate location information for Google Maps. When conducting a search query, Google will randomly display a map with a pin and ask if you know what is located there. The location being asked about will be relevant to where the query is coming from, but these prompts will apparently pop up whether or not the query is location-related. It appears that Google is just trying to get help with identifying new locations and adding them to Google Maps. So, in the future, you may find Google asking about places that are close to you. You can see a screenshot of what this looks like in Jennifer Slegg’s coverage over at The SEM Post. Google is getting in on the fidget spinner craze with a new Easter egg added to search results. Just search for the word “spinner” and you’ll be greeted with a digital fidgeting device. It works particularly well on mobile devices because you can swipe the screen to make it spin. Overall it’s pretty fun, and kind of addictive, so consider yourself warned before you go searching for it. This past week included International Yoga Day, and to celebrate the occasion Bing released a new update for Yoga enthusiasts. The update is designed for both new and experienced practitioners, with features for all skill levels. If you’re interested in Yoga but don’t know where to start, you can search for “yoga exercises” and Bing will display a carousel at the top of the screen with instructional videos on how to perform various poses. If you have some yoga experience, or at least have some idea of what you’re looking for, you can search for “yoga workouts.” Conducting a search for yoga workouts will display a carousel at the top of the screen with various routines. You can filter the results by focus and difficulty level to find exactly what you’re looking for. Yes, a courageous individual took on the task of creating a movie about SEO and posted it on YouTube this week. Is it any good? Well, clocking in at around 40-minutes, it is hardly a feature length film. It’s more of a love letter to the industry from one young man’s perspective. 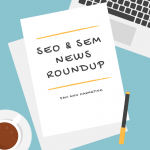 Those within the industry may enjoy what it has to offer, but it does little to educate newcomers about search engine optimization. SEO The Movie speaks to the early days of SEO, but barely touches on how it has evolved to where it is today. To its credit, the video does feature sit down interviews with some of the biggest names in SEO. It’s always intriguing any time you can see personalities like Danny Sullivan, Rae Hoffman, and Rand Fishkin discussing their craft. If you have 40 minutes to spare, it’s a decent watch. 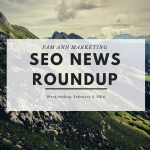 At the very least, you can get a feel for what it was like to work in SEO in the early days – from an insider’s perspective. Google never stops innovating. 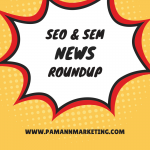 This week we saw the search giant roll out improvements to its Analytics platform, and introduce two new tools in Google For Jobs and Posts. Through compressing its own ads, Google is continuing its crusade to make web pages load faster. The company is actively seeking searchers’ help to add new information to Google Maps, and is entertaining searchers with fidget spinners. Bing wants to become the destination for learning about yoga and discovering new yoga routines. Lastly, an intriguing video about the early days of SEO has been released for free on YouTube – the industry certainly has come a long way from what it once was. This past week Search Engine Land held its SMX Advanced conference, which featured a number of Google executives. That means we learned a number of intricate details about how Google’s search algorithms work – thanks to the questions asked by SEOs in attendance. Google has released a simple website building tool, which means there are now fewer excuses for businesses not to have their own website. Google has updated its Local Guides program, which now features more rewards and more levels. 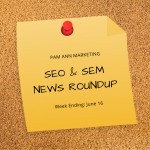 Bing also made some headlines this week with a couple of updates to Bing Ads. 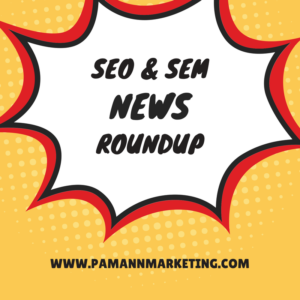 More details about each of these top stories are included in this week’s SEO & SEM news roundup. Google has released a simple, single-page website builder that has been designed with small businesses in mind. The tool is free and allows business owners to create a website in minutes using the information contained in their Google My Business (GMB) listing. If you don’t yet have a GMB listing, you will need to claim one before being able to use this tool. You can get started by visiting this page and following the prompts. Google will automatically create a single-page site and fill it in with information in your GMB listing. From there you can customize the look of your site with a variety of different templates, as well as add additional text and photos. You can also select a custom domain name for an additional fee. After the site has been published, updating it is as simple as updating your GMB listing. Any edits you make within GMB will be automatically applied to your site. Google’s website builder is not perfect by any means. Not only is it limited to one page, but it lacks many elements we believe to be essential to any search engine optimized website. However, it is arguably better than nothing. It could be a decent placeholder until you’re able to get a proper website built for your business. Despite the limitations of its website builder, Google’s continued investments in GMB have brought the platform miles ahead of what it once was. Learn more about what you can do with GMB in our guide to Google My Business tips and tricks. How Strong is Google’s Page Speed Ranking Signal? Google is not shy about letting the world know that it believes web pages should load faster. In fact, the company has even gone as far as to include page speed as one of the many ranking signals in its search algorithm. But just how strong is that ranking signal anyway? At SMX Advanced, Google’s Gary Illyes stated it is a minor ranking signal. It’s not strong enough to significantly elevate sites in search rankings just because they load fast. Rather, it’s more of a “tie breaker.” That means if all else was equal between two similar sites, but one loaded faster than the other, the site with faster page speed would rank higher in search results. Hat tip to Jennifer Slegg for sharing this information. When asking Google a question, it’s likely you’ve encountered Featured Snippets before. 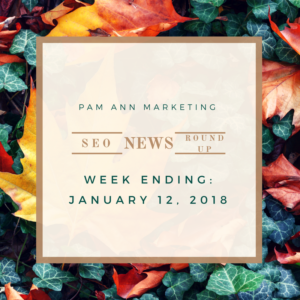 A Featured Snippet is the box that appears at the top of search results containing a summary of the answer, followed by a link to the full piece of content where the information was pulled from. 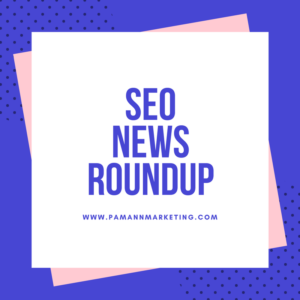 If you’re fortunate enough to have one of your pages act as a Featured Snippet in Google’s search results, don’t expect to see any analytics data in Search Console anytime soon. Again, it was Google’s Gary Illyes who revealed this information during his keynote at SMX Advanced. He also stated Google could release data about Featured Snippets if it wanted to, but higher ups within the company have vetoed the idea. When it comes to local search results, Google relies heavily on the assistance of real people to provide information and verify that it’s accurate. Google incentivizes people to do this through a program called Local Guides. A Local Guide is someone who provides information to Google in exchange for points. Though earning points users can level up in the program and unlock rewards. Google has updated the Local Guides program with more levels and more rewards. The level cap has been raised from 4 to 10, and users can begin earning rewards as early as level 2. After reaching level 2, Local Guides receive access to new product features and occasional perks from Google. Levels 4-10 can redeem a free three-month Google Play Music subscription and 75% off a rental in the Google Play Movie store. For each new level achieved, users receive a badge to show off their progress. To learn more, and/or sign up to be a Local Guide, visit this page. More and more people are thinking mobile-first these days, including advertisers. In fact, some advertisers may want to ignore desktop users altogether because they’re not their target audience. That’s why Bing Ads has rolled out the ability to opt out of displaying ads on desktop. Advertisers can completely opt out of displaying ads on desktop by setting the bid adjustment to -100%. Bing Ads is piloting two new features that may help more advertisers reach their ideal customers. 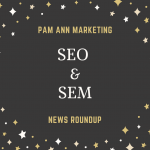 Bing has rolled out curated remarketing lists, called In-Market Audiences, containing individuals with purchase intent for particular categories. Bing Ads customers can assign In-Market Audience lists to ad groups so their ads are shown to people who are ready to buy. This is a time-saving alternative to creating your own remarketing lists. Another new targeting ability has been rolled out, but you need to be using Adobe Audience Manager as your data platform manager (DMP) in order to use it. If that’s the case, then you can connect your DMP to Bing’s new Custom Audiences feature and import your audience segments into Bing Ads. For the second year in a row, Google finds itself at the top of the BrandZ global rankings list. Google beat fierce competition from the likes of Apple, Amazon, Microsoft, and Facebook. Rankings were determined by research company Kantar Millward Brown, which has ranked the companies based on overall brand value. Why did Google top the list? Well, it could be any number of reasons. In addition to being the world’s leading search engine, Google has also released Google Home, a new Pixel phone, a virtual assistant, and made advancements in self-driving cars all in the span of one year. Google has released a bare-bones, yet easy to use website builder. We learned Google’s page speed ranking signal will not necessarily propel your site to the top of search results. Google will not be releasing analytics data for Featured Snippets anytime soon, if ever. The Local Guides program has been updated. Bing Ads has new targeting features. Lastly, Google is the world’s top brand for a second consecutive year.